"...I'm recognizing the play and the talent...there's an obligation to let people know what they weren't "allowed" to see, so I'm treating Supernormal Clutches like any other show that had a proper opening. And let's not even mention the long run I predict it would have had..."
"The impeccable performances in Supernormal Clutches are a telling example of the quality this troupe offers playgoers. The script is a funny, moving, and uncannily accurate depiction of the emotional strains of making and breaking relationships." This production of Pamela Gray's delightful Supernormal Clutches, marked the end of ART's run in Norfolk. Marred as it was by the political fire-storm surrounding it and our home at the Khedive Temple in the "historic" section of downtown Norfolk (there were those who felt certain people of power and influence in the community simply wanted to see our historic location torn down for a condo development – a sad event whose eventuality has since occured – and there were others of the opinion that these same people felt a theatre producing a comedy dealing with the romantic lives of five lesbians was pushing the limits of "tolerance"), the events surrounding this production brought us to the realization that it was time for the company to relocate. Nevertheless, we take a great deal of pride in this production, our cast and crew, the theatre's supporters in Norfolk, and all those who braved the controversy to come out and see what all the fuss was about. And we thank Pamela Gray for writing this warm and witty play, and entrusting it to our hands. 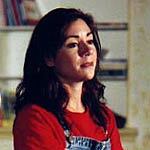 Pamela Gray (Playwright) won a 1999 Morning Star Award for her first feature film, A Walk on the Moon, for its positive portrayal of Jewish women. The film, which starred Diane Lane and Liev Schreiber, was produced by Dustin Hoffman and directed by Tony Goldwyn. Gray's second feature, Music of the Heart, won its star, Meryl Streep, a 1999 Oscar nomination. She has also written for the television series' Star Trek: The Next Generation, Once And Again as well as two Hallmark Hall of Fame movies, The Love Letter and Calm at Sunset. Gray has an MFA in Screenwriting from UCLA, where she received the First Place Samuel Goldwyn Award for The Blouse Man in 1992, as well as the Jack Nicholson Screenwriting Prize, the Marty Klein Comedy Writing Award, and the Television Academy's Scriptwriting Internship. The original Los Angeles production of Supernormal Clutches, received the 1996 Drama-Logue Award for Playwriting, as well as Critic's Choice from the Los Angeles Times, Drama-Logue and Back Stage West.